We design gift packs just for you with the recipient in mind. 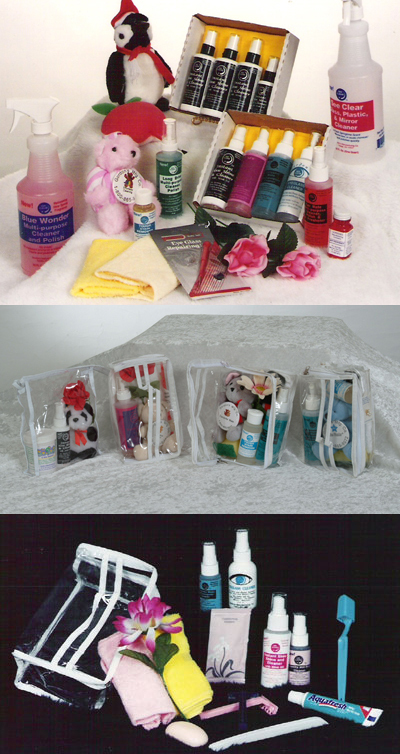 Tell us the type of products, fragrances, flower, small toy or stuffed animal you would like. We will include them in one of our handy tote bags, baskets or gift boxes. Indicate whether the gift pack is for Christmas, a birthday, male, female, reward, award, secretary's day, etc. In other words, let us do the shopping for you and personalize your gift. Great for the person who has everything!